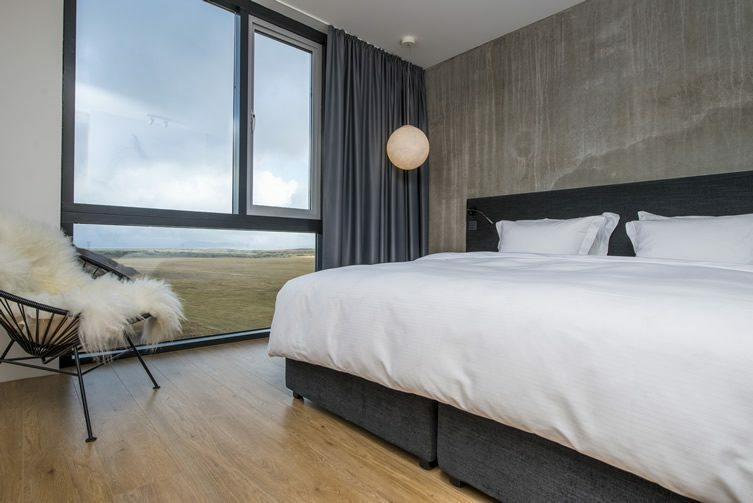 The Nordic countries are lands of myths and legends, and here in the half light amid the mountains of lava rock might well be one of those myths – the stilted ION hotel, crawling out from the landscape of Iceland like a giant modernist centipede. 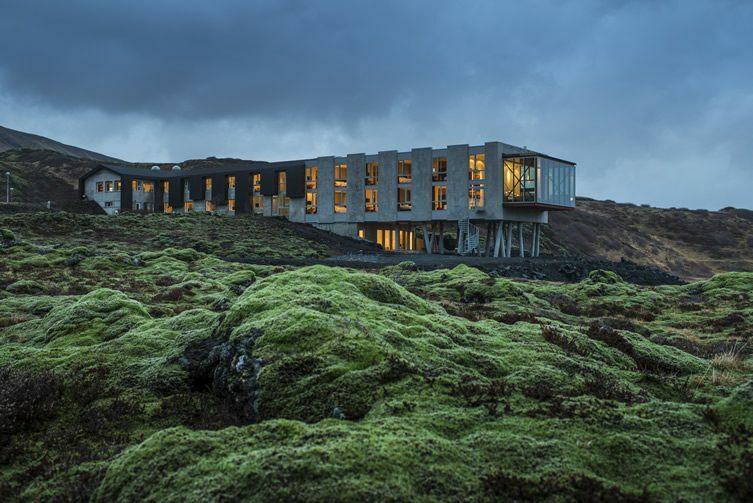 It’s a fittingly dramatic building for the rugged, elemental surroundings, emerging from the side of Mount Hengill, an active volcano whose energy is harnessed by the nearby power station and heats the hotel. 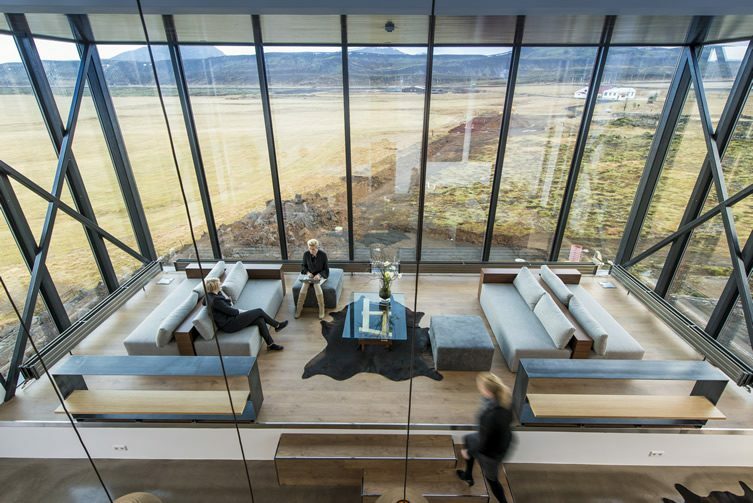 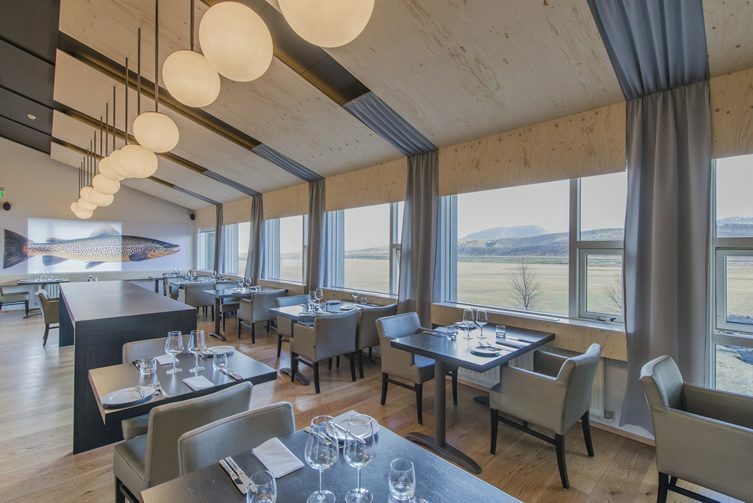 Although less than an hour’s drive from Reykjavik, ION feels like it’s on a different planet, located near the UNESCO protected Þingvellir National Park and Iceland’s largest lake. 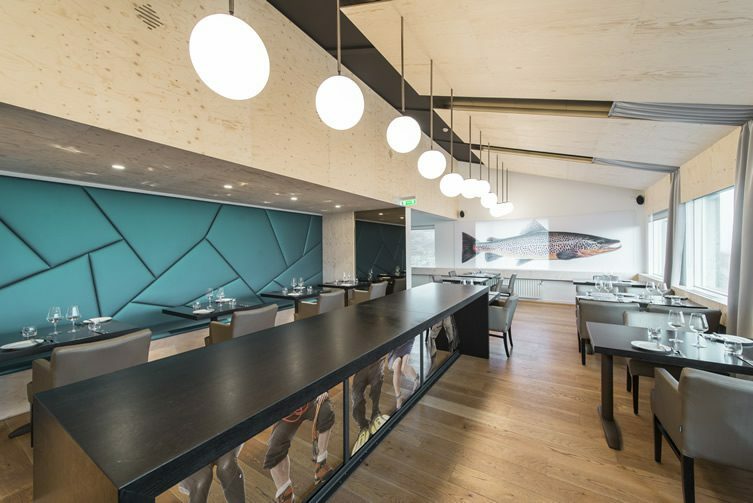 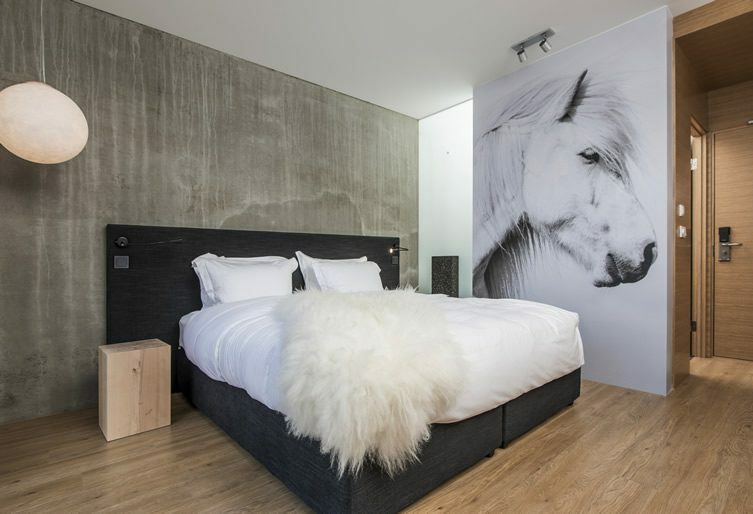 As to the hotel, it’s a comfortable blend of modern and natural elements – concrete and wood and animal skins come together harmoniously. 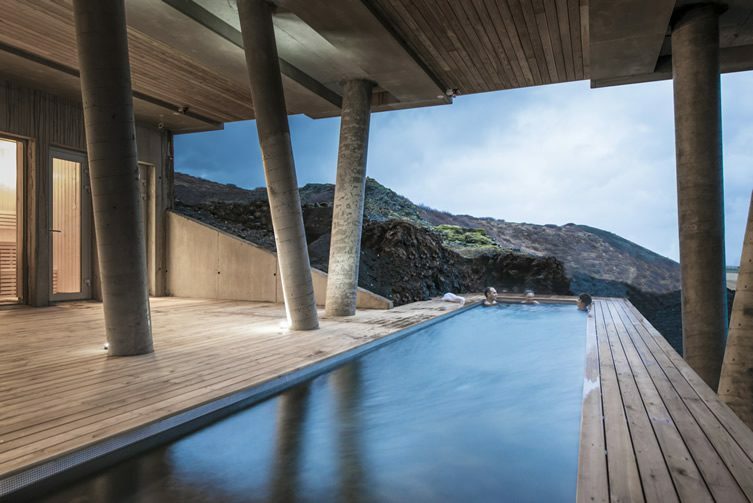 There can’t be many more bracing places to do your morning laps than the (thankfully heated) swimming pool on the deck among those angled supports, and what a view, too, maximised by an extensive use of glass throughout the hotel.